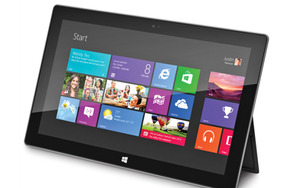 If you’ve been holding out hope for a 7-inch tablet running Windows 8, you may soon get your wish. Recent Microsoft policy changes, leaked software builds, and supply chain rumors suggest it’s not a matter of if a small-fry Windows 8 tablet is headed your way, but when. Microsoft recently made a change to its hardware certification program that lowers the minimum allowable screen resolution for Windows 8 tablets from 1366-by-768 to 1024-by-768. The change, first reported by ZDNet, is significant since it opens the door to officially sanctioned Windows 8 tablets with displays smaller than 10 inches. Those “certain markets” requiring “greater design flexibility” could be a nod to developing markets, where cheaper hardware with lower screen resolutions could sell well. But it also provides an opportunity for a Windows 8 tablet—let’s call it the Surface Mini—to take on devices like the Kindle Fire HD (1280-by-800), Nexus 7 (1280-by-800), and iPad Mini (1024-by-768). 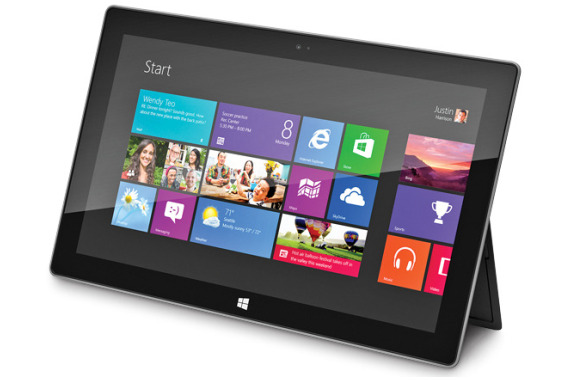 When Windows 8 was still a work in progress, Microsoft was aiming for tablets sized at 10-inches and up, which were the only significant tablets around at the time. The first of the significant 7-inch devices, Amazon’s Kindle Fire, didn’t show up until late 2011, and smaller tablets weren’t truly a phenomenon until the Nexus 7 and the iPad Mini appeared in mid-2012. 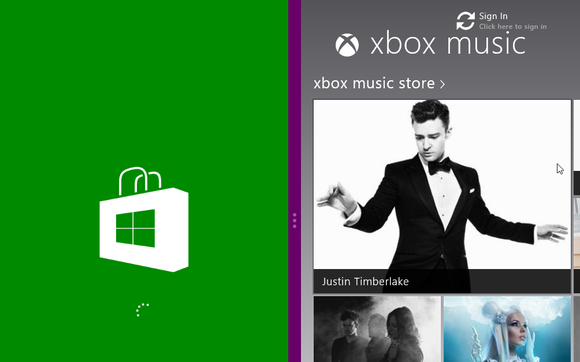 By that time, Windows 8 was practically finished and the first round of Windows 8 products were already in the works. Opening the door for resolutions lower than 1366-by-768 is only one issue Microsoft needs to address before 7-inch tablets become a reality, however. Lower resolutions would also kill Snap, a Windows 8 dual-pane feature that lets you display two modern UI apps (or one modern UI app and the traditional desktop) side-by-side. Under the current builds of Windows 8, Snap only works with a minimum screen resolution of 1366-by-768. Although it's just one feature, Snap is significant since it is the only way to view two full-screen, Modern UI apps simultaneously, and the ability to multitask effectively would be a key point of differentiation separating 7-inch Windows tablets from their Android- and Apple-powered competition. Windows Blue's split-screen snapping function in action. But Microsoft may be solving this problem with Windows Blue, an update to Windows 8 expected later this year. A recently leaked build of Windows Blue, as revealed by a YouTube user on Monday, shows the snap feature working at a resolution of 1024-by-768. While Microsoft may not want to encourage manufacturers to regularly make devices with lower resolutions, there are rumblings that the company is reducing some licensing costs to convince device makers to take a look at producing smaller Windows 8 devices. Earlier in March, reports surfaced that Microsoft might be slashing licensing fees for OEMs to as little as $30 for Windows if the software is headed to touchscreen devices smaller than 10.8 inches. The cost for this software is usually around $75 to $120 per license, depending on whether or not Office is included. Now, a report from Tech.Pinions adds a little spice to that rumor by saying Microsoft may offer the same pricing for builds of Windows Blue. But, analyst Tim Bajarin claims, Microsoft will only slash the license cost of Blue for tablets and laptops using Intel Atom or AMD low-voltage processors. (The report initially mentioned AMD Temash processors specifically, but that has since been redacted.) Both of these chip families are exactly what you would use in a tablet and could encourage more companies to take a look at using Blue on smaller devices. Microsoft indeed appears to be making moves to open the door for smaller tablets running Windows 8, but recent reports don’t address the question of how well such a tablet would work. The modern UI is certainly ideal for a touch device, but Windows 8 also features the traditional desktop, which is difficult enough to use effectively on a large-screen touch device. On a 7-inch tablet the point-and-click desktop would be rendered almost useless. The rumor mill claims that Windows RT is slated to receive the same Blue-tinged overhauls as Windows 8—an unsurprising revelation, as virtually all of Windows Blue's improvements target the modern UI. Windows RT would be a better candidate for 7-inch Windows tablets given that the ARM-powered operating system can't run traditional desktop programs, but the Windows Store needs to step up its game before Windows RT becomes a compelling mobile option. No matter which operation system they're powered by, the arrival of 7-inch Windows tablets would align the platform with modern-day mobile desires. Smaller tablets could also help Microsoft shrug off the indifference its slates have been met with—research firm IDC says just 4.7 percent of tablets shipped in 2012 were Windows 8 or RT tablets—but widespread consumer acceptance of pint-sized Windows tablets will only come if the price is right.